Cass Elliot, also known as “Mama Cass,” was in London performing at a series of sold-out concerts at the London Palladium when she was found dead on July 29, 1974 at the young age of 32. Cass had given a stunning performance that evening before retiring to her room. On the table in the room sat a ham sandwich and can of Coca-Cola, of which was borne the rumor of her death by choking on a ham sandwich. Born Ellen Naomi Cohen in September 1941 in Baltimore, Maryland, Cass grew up in Washington, DC. Her career path started in her senior year of high school when she performed in a production of The Boyfriend in summer stock theater. Cass decided to move to New York and pursued a career in drama and music. She competed against Barbra Streisand for the minor role of Miss Marmelstein in the musical I Can Get It for You Wholesale in 1962. Streisand won the part. Cass was not deterred and instead toured with a production of The Music Man. By 1963, Cass had formed a folk trio called The Triumvirate that later morphed into The Big 3. At that time, she met her first husband, performer James Hendricks, and they wed in 1963. They recorded 2 albums and appeared on The Tonight Show. The group disbanded in 1964, and Cass continued on to form The Mugwumps, who stayed together until the end of 1964. Cass embarked on a very short solo career during this period, and then joined The Mamas and the Papas in mid-1965. While The Mamas and the Papas enjoyed several chart-topping hits, including California Dreamin’, Monday Monday, I Saw Her Again, and Dedicated to the One I Love, Cass’ life was full of drama within the band and in her personal life. In April 1967, she gave birth to her only child, a daughter, Owen Elliot, and refused to publicly or privately acknowledge the father, which brought about much criticism from the public. Owen ultimately was raised by her aunt after Cass’ death. In 1968, Cass divorced Hendricks. Also in 1968, Dream a Little Dream of Me was released and it quickly became Mama Cass’ signature song and launched her short-lived, yet distinguished, solo career. Cass was an international sensation. She made numerous television appearances throughout the early 1970s, guest hosted The Tonight Show, and continued to record for RCA Records. In 1971, she married her second husband, Baron Donald von Wiedenman, who was a young American journalist and heir to a Bavarian barony. The union only lasted a few months. In 1974, Cass was in London where she was performing at the London Palladium to sold-out crowds. On the evening of July 29, 1974, after giving a spectacular performance, Cass tragically was the victim of a heart attack, which ended her life at the young age of 32. Many rumors circulated regarding her untimely death. These included a drug overdose, an FBI assassination plot, that she was pregnant with John Lennon’s child, and suicide. The most popular and resilient of these rumors was that she had choked to death while eating a ham sandwich. The ham sandwich myth was fueled by the report of Dr. Anthony Greenburgh, the physician who first examined Cass after her death. Greenburgh reportedly told the Daily Express that “she appeared to have been eating a ham sandwich and drinking Coca-Cola while lying down—a very dangerous thing to do,” and continued, “she seemed to have choked on a ham sandwich.” He came to these conclusions from his first impression upon entering the scene, and he believed she died of asphyxia. Dr. Greenburgh completely overlooked the fact that the ham sandwich sitting on the table had not been touched. The facts about Cass Elliot’s death were documented shortly after she died by Keith Simpson, one of Great Britain’s leading forensic pathologists at that time. The forensic autopsy showed there was “a heart problem leading to heart failure; there was no sandwich or any other item lodged in her throat or trachea; and she had had very little to eat the day before she died.” A routine drug screening showed no drugs were in her system. The cause of death was “heart failure due to fatty myocardial degeneration due to obesity.” That conclusion was controversial and disputed by American pathologists at that time. The theory exists that Cass had a cardiac conduction deficit. She frequently suffered fainting episodes that went unexplained. In 1998, Cass and the other members of The Mamas and the Papas were inducted into the Rock and Roll Hall of Fame. Ham and wheeze. Snopes.com. January 19, 2007. http://www.snopes.com/music/artists/mamacass.asp. “Mama” Cass Elliot. Internet Movie Database. http://www.imdb.com/name/nm0254177/bio. 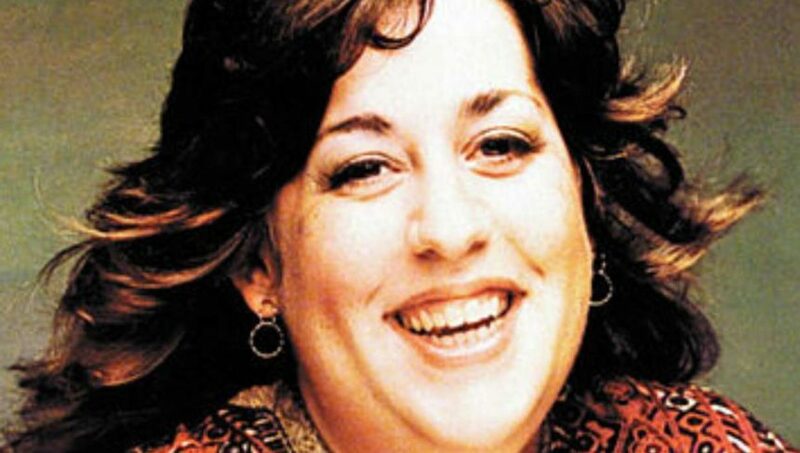 “Mama” Cass Elliot. Jewish Virtual Library. http://www.jewishvirtuallibrary.org/jsource/biography/Cass.html. The Official Cass Elliot Web site. www.casselliot.com.